An introduction to optimisation techniques that may improve parallel performance and scaling on HECToR. It assumes that the reader has some experience of parallel programming including basic MPI and OpenMP. Scaling is a measurement of the ability for a parallel code to use increasing numbers of cores efficiently. A scalable application is one that, when the number of processors is increased, performs better by a factor which justifies the additional resource employed. Making a parallel application scale to many thousands of processes requires not only careful attention to the communication, data and work distribution but also to the choice of the algorithms to use. 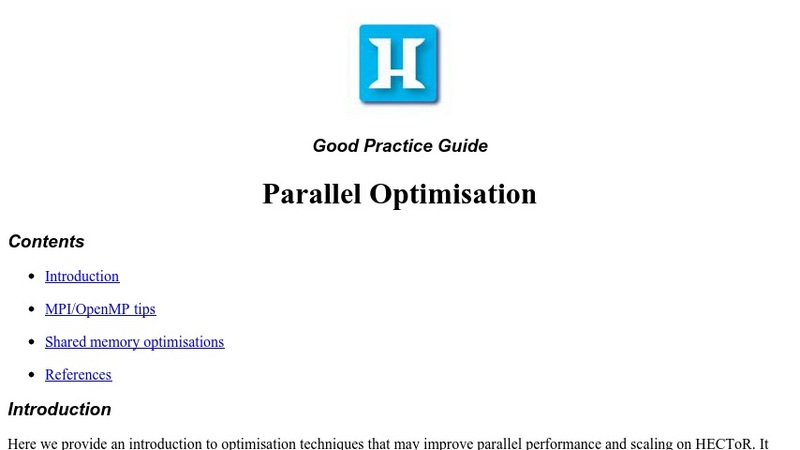 Since the choice of algorithm is too broad a subject and very particular to application domain to include in this brief guide we concentrate on general good practices towards parallel optimisation on HECToR.